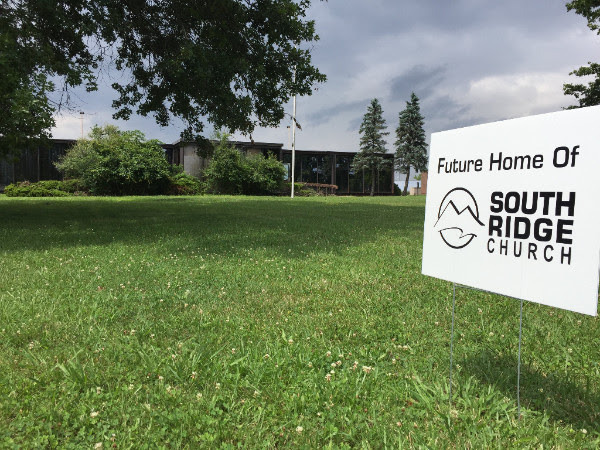 Back in May, South Ridge Church purchased this property at 164 Thompson Drive which is located right near the border of Bridgeport and Clarksburg. We immediately began preparing the building for renovation by removing 75% of the interior walls and having the roof replaced. Now we are moving into phase 2 of the project and we should soon see new walls going up! While our initial goal was to launch into this facility in September of this year, there is still a significant amount of work to be done and a more realistic goal at this time is January of 2018. Here are the best ways to stay connected and involved as we continue to move forward. Attend our SecondCity weekend service on Saturday evenings at 6pm in Fairmont. We will be meeting on Saturdays in Fairmont until we launch in Bridgeport. Follow updates on social media for real time information! Click on social media platform you use below. Serve on the launch team. For more information about how you can serve please call or text Dean Brannen at 304-365-4466.